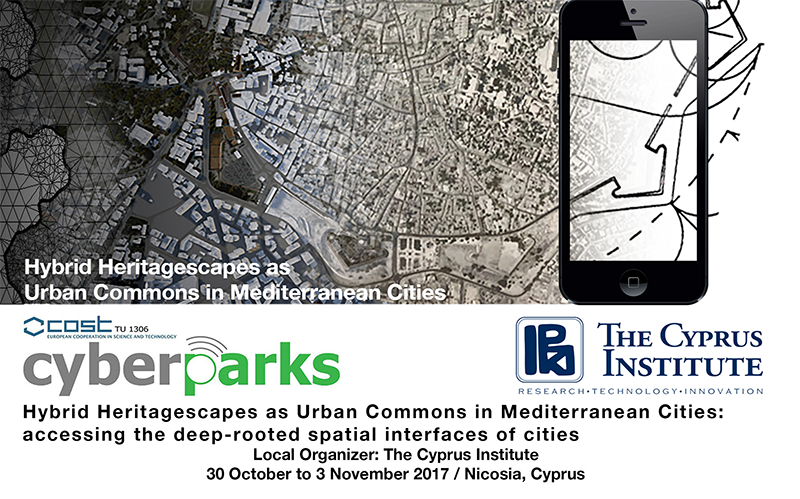 30 Oct-3 Nov 2017, Nicosia, Cyprus. Expressions of interest are invited from the COST Action TU1306 “Fostering knowledge about the relationship between Information and Comunication Technologies and Public Spaces supported by strategies to improve their use and attractiveness (CYBERPARKS)” to participate in a master/PhD level training school related to emerging forms of technologically mediated urban landscapes. Please check this .pdf for more information.